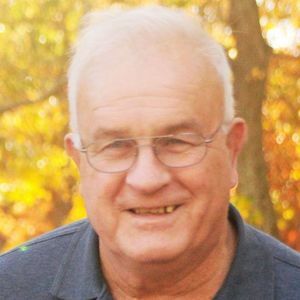 Henry, John J., 75 – of Green Creek, NJ passed away November 29, 2018. He was born in Philadelphia to the late Edward and Elizabeth Henry. John worked as a Supervisor for the Cape May County Roads Department and formerly served in the National Guard. He was a member of the Green Creek Volunteer Fire Company for 58 years where he held many positions. John also served as President of the Middle Township Fireman's Relief Association and was a member of the NJ State Fireman's Association, Fireman's Aide Association, and Knights of Columbus. Along with his parents he is predeceased by his son Adam Henry and brothers Edward III, Frank, and William Henry. John is survived by his wife, Verlee (formerly Thraen); children Jill Taylor and John "Jack" Henry II; siblings: Clara Thraen, Edna (Bill) Messmer, and Tom (Ann) Henry; grandchildren: Serenity, Arianna, and Quinlan Taylor; brother-in-law Chris (Ruth) Thraen and sister-in-law Ellen Hayes; as well as several nieces and nephews. Viewing will be Monday, December 3, 2018 at Radzieta Funeral Home, 9 Hand Ave., Cape May Court House, NJ 08210 from 6 to 8 p.m. Viewing will also be Tuesday, December 4th from 9 to 10 a.m. at Our Lady of The Angels Church, 35 East Mechanic St., Cape May Court House, NJ 08210. Mass will follow at 10 a.m. Interment will be at Green Creek Methodist Cemetery. In lieu of flowers, donations may be made in John's name to Green Creek Volunteer Fire Company, PO Box 195, Green Creek, NJ 08219; Our Lady of The Angels Church, and Camp Sun N' Fun, 1036 North Tuckahoe Road, Williamstown, NJ 08094. So very sorry to hear of John's passing. His willingness to help others without expectations is something that left a great impact on me as a youngster, and something I've attempted to model throughout my life. My thoughts and prayers are with you all. Verlee, Jill, Jack & family. So very sorry to hear of Johns passing. Lots of memories with our families through the years!!! Thoughts and prayers to you all!! So sorry to hear of John's passing. Our condolences to the family. We always enjoyed visiting with John at church . He is now your guardian angel in heaven.